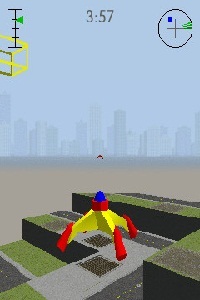 Leveraging on the building parts and weapons, you can fire enemies. The gree arrow shows the potential targets. If you can eliminate all enemies before the end, you win.